Home > Chemicals (bug spray, disinfectant, etc.) > Kreso Dip 32oz. Kreso Dip 32oz. Used for either bug killing or disinfectant. 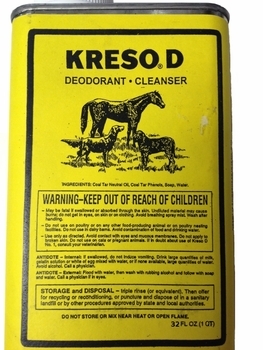 KRESO D Deodorant Cleanser Kreso D must be diluted with water before use. For HORSES 1 part Kreso D to 60 parts warm water. Dip or apply with spray. Saturate hair and skin thoroughly. Repeat every 12 to 14 days as required. 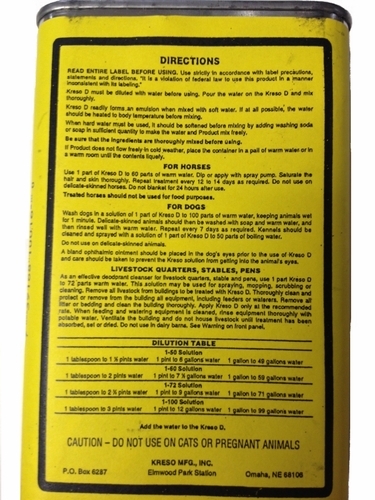 For DOGS Wash dogs in a solution of 1 part Kreso D to 100 parts warm water. Repeat every 7 days as required. 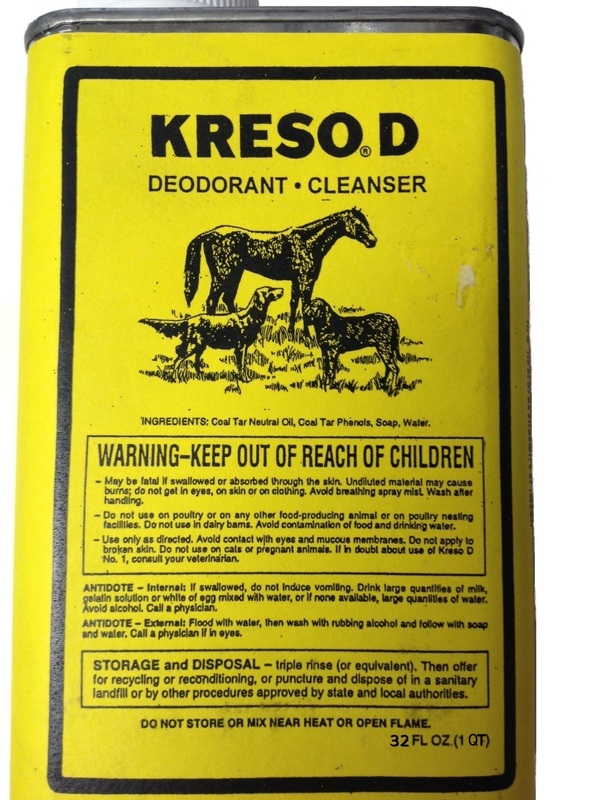 For KENNELS Clean at the rate of 1 part Kreso D to 50 parts boiling water. Use on animals which are not producing food for human consumption only. Gamefowl for show or breeding purposes, use 1 oz. per gallon of water for spray or dip, 2-3 oz. per gallon for disinfecting pens.